Wyandanch is a hamlet and census-designated place located in Suffolk County, Long Island, New York. 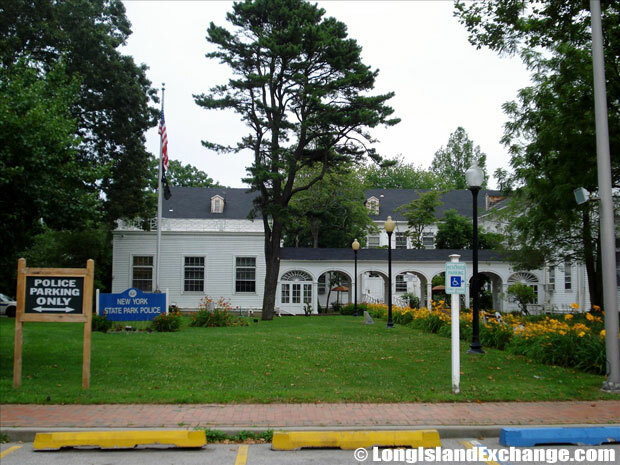 It is within the Town of Babylon just a bit north of the Southern State Parkway and Bellmont Lake State Park. As of the 2010 census, there were 11,647 people, 2,926 households, and 2,379 families residing in the CDP. The median income for a household in the CDP was $54,052, and the median income for a family was $54,177. Males had a median income of $34,343 and only $34,897 for females. The latitude of Wyandanch is 40.753N. The longitude is -73.36W. It is in the Eastern Standard time zone. Elevation is 56 feet. 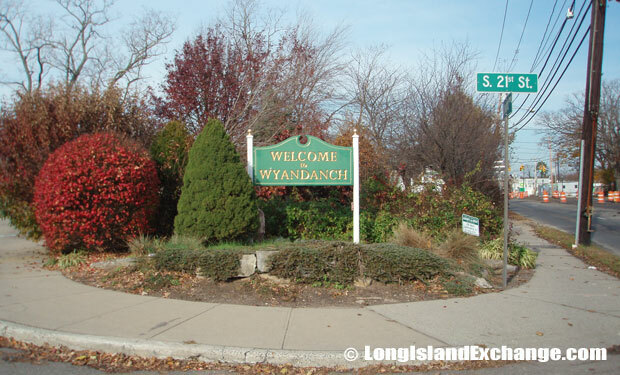 A sign welcomes visitors and residents to Wyandanch, a hamlet and census-designated place in Suffolk County. Multi Unit apartments at 1471 Straight Path, Wyandanch NY. Headquarters for the New York State Park Police near where Mount and Bellmont Avenue intersect in Wyandanch NY, by Southern State Parkway. During the 17th century, the village was named after Chief Wyandanch, a leader of the Montaukett tribe who played a lead role in the sale of tribal land to the English. It is believed that the superior fire power and military strength of his opponents weighed in his mind for the deals that he made with them. There is speculation and controversy about the motives for his real actions, but one thing is for sure – he was proud of the town that is now named after him. The former and merged names include Half Hollow Hills, West Deer Park, and Wyandance. Irish immigrants tempted by seductive advertising, unwittingly purchased lots in the midst of the Pine Barrens here in the 1920s and 1930s. Dr. Martin L. King Jr. Elementary School, 792 Mt Avenue. Wyandanch Memorial High School, 54 S 32nd Street. 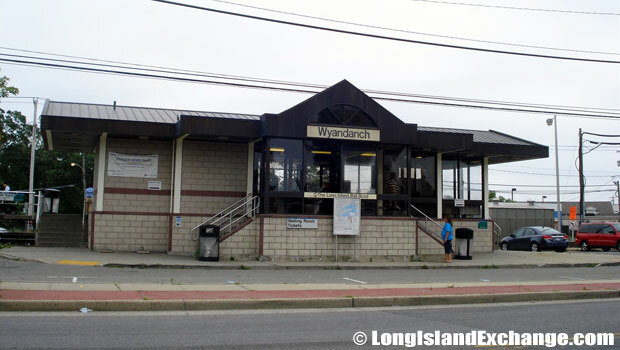 Wyandanch LIRR station along the Main Ronkonkoma line of the Long Island Rail Road. 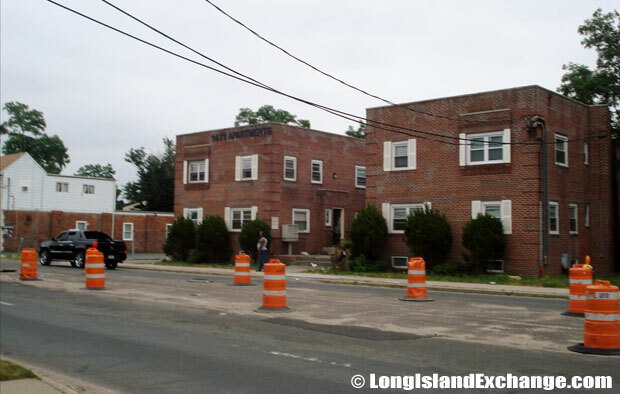 Wyandanch was a home to renowned rapper Rakim and George Cooper, a star running back for the Wyandanch Warriors. The racial-makeup of the community comprises of 16.4% White, 65.0% African American, 0.01% Native American, 1.2% Asian, 0.01% Pacific Islander, 1.3% from other races, and 4.1% from two or more races. Wyandanch Volunteer Fire Company North House on Main Avenue. 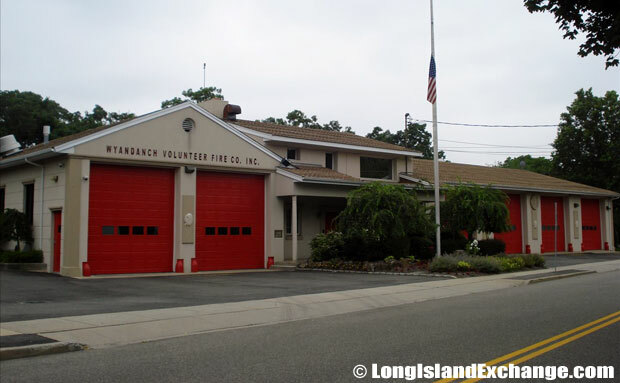 Wyandanch Fire Company found it’s beginnings at a meeting of the Wyandanch Athletic Club in 1925, when Edward Mason announced to its members a chance to buy a used Model T Ford fire truck from the Hicksville Fire Department for $125 and start a fire department. 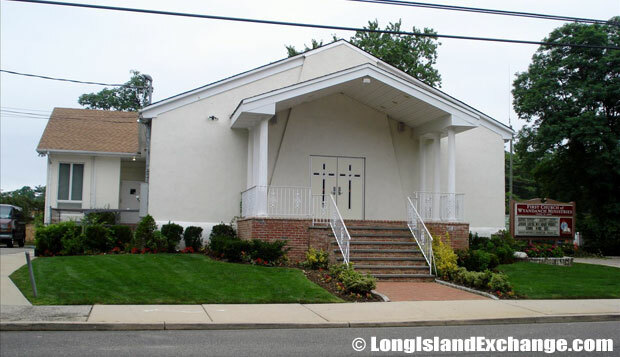 First Church of Wyandanch Ministries, worships every Sunday 10:00 AM at 85 Parkway Boulevard. 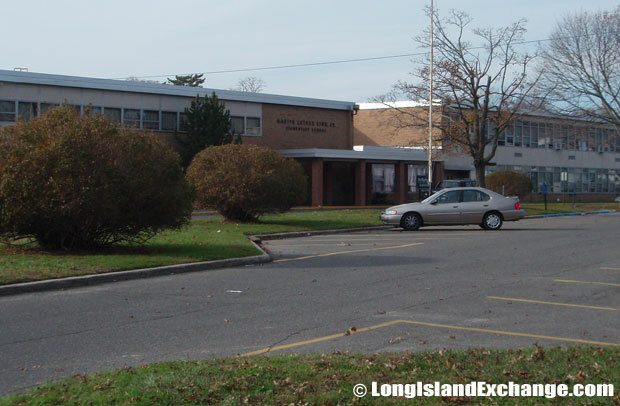 Wyandanch is served by Wyandanch Union Free School District which has two elementary schools, one middle school, and one high school. 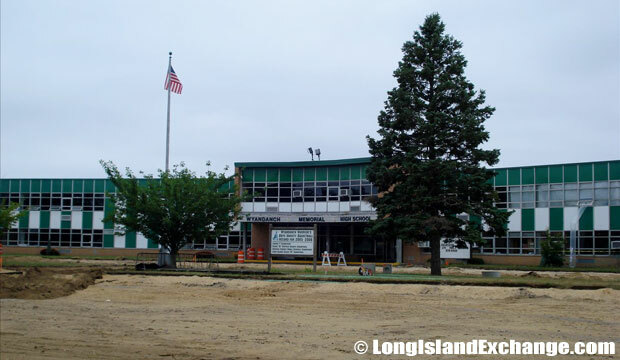 Wyandanch public schools spend $13,057 per student. The average school expenditure in the U.S. is $6,058. It also boasts one of the most successful high school basketball programs in New York State. The Team Warriors are a consistent competitive force throughout Long Island and upstate New York. 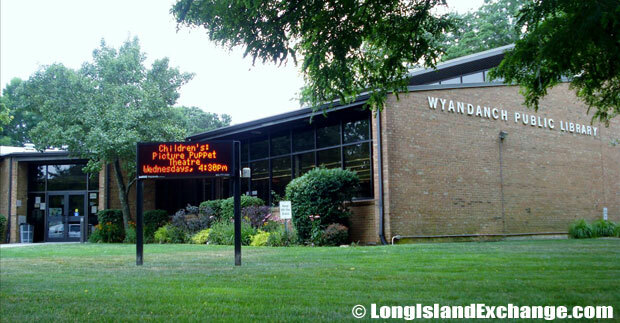 Wyandanch Public Library, formed in 1973, by members of the Wyandanch Community Development Corporation. Its land was donated by The Marine Midland Bank and Deer Park Library donated hundreds of books. 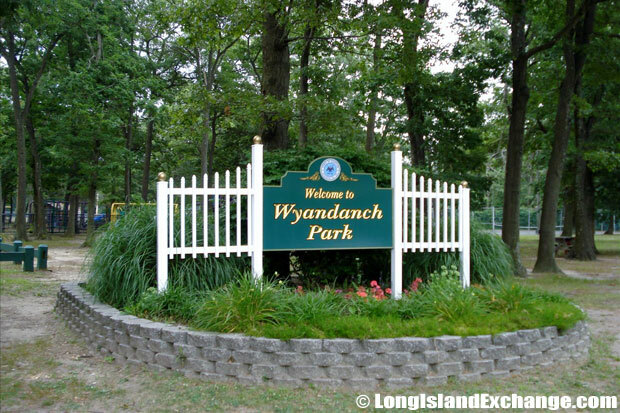 Wyandanch Park on Mount Avenue is a town run facility with football and baseball fields, basketball, handball, tennis courts, a picnic area, playground, restrooms and free Wi-Fi access. Wyandanch has been known as a very religious community with several churches serving the community which includes the Fellowship and First Baptist Churches, the Community Church of the Nazarene, the Revelation Church of God, the Salvation and Deliverance Church, the Trinity Lutheran Church, the Mount Moriah Church, and the First African Methodist Church. There’s a revitalization project on going to improve the area’s shopping center. As of now, there is a still a supermarket and several strip malls and shops near the downtown area.